Had mine for 9yrs, great service every year & never felt the need to upgrade. Reliable & does what it’s supposed to do, great battery life too. Have used the 455 for many years and although fancy an upgrade, currently can not justify the extra cost for the new features when this serves all purposes. never had a problem with my 455. always been spot on and the same day service is brilliant for annual callibration. Really can’t recommend this enough, yes it’s now dated but in over 5 years I’ve never had an issue with it. Particularly like the probe. Only slight downside is the 90 second purge at the start. Obviously newer and ,ore advansed analizers on the market now but still cannot fault this one. Always used kane analysers I think there easy to use and look nice . Do the job well also kane is a good company had a issue with part of my kit without any hesitashen they sent me a new part well happy with it. I have used the Kane 455 for over 10 years now. By far the best value for money and ease of use. The customer service is second to none . Just a great piece of kit. Excellent piece of kit. Had mine three years and just had it's birthday pat test this week. Perfect fast reliable service from kane direct Hertfordshire. Have used a testo But in comparing the both I'd prefer kane. Had this model for 3 years and the one issue I had was repaired free of charge no questions asked with a free calibration thrown in. Turn around of 2 to 3 days when sent away is excellent. 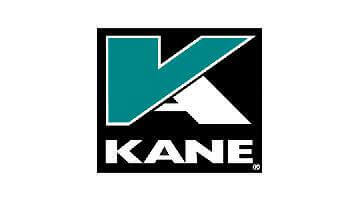 I've used Anton, Testo, and TPI in the past and for me Kane has proved to be the most reliable and usable analyser. Really good fga never had any problems with the 455 and the turn around on the annual service is great, I’m tempted to upgrade to the 458 but this one is still going strong. Incredible quality as well as ease of use, fantastic after sales and back up. The process of re calibration is fantastic, as well as the upgrade options allowing installers to stay up to date with new products with affordability. I have had zero issues which on an essential piece of equipment without which it is impossible to work, this is absolutely brilliant. This was my original FGA and I kerp it as a back up now that I have my 458. Can’t fault it, had it for around 5 years. Upgraded from Anton, easy to use, battery life is great and the customer service is fantastic. I'm getting the Bluetooth upgrade on my next service. Used to have this until I upgraded to a 457. Really easy to use and versatile analyser, recommend to anyone wanting a new analyser! Great product, versatile and now not that expensive either. Does what most analysers do and more. Also very few problems. Great analyser, easy to use, reliable, multiple probes, only £100 inc to calibrate, and you can pick them up pretty cheap second-hand now. Very good quality product. Many features and very easy to use. Very reasonably priced compared to many others on the market. Use mine mostly on oil boilers. This is the easiest analyser to use. Simple dial and not to complicated with digital menus. Use on natural gas. Oil and lpg. But is able to use on various other fuels. Great bit of kit. If I could give these 10 stars I would. Not many company's out there like Kane. Always looking at the bigger picture rather than a quick buck. Products, after sales, all spot on! This is the first analyser I've used and I don't think I would ever use anton. Easy charge time and battery lasts for ages! Would highly recommend it. Had mine 6 years now and would not contemplate anything else. Sensible service and calibration costs as well. I would not go back to an Anton for love nor money. Other than one or two I've used on courses I've only really got good knowledge of this one. I've owned mine for about 5 years and just had it serviced again and they even fixed the slight wear and tear on the dial. I sometimes think that it would be fantastic to be able to print a bunch of reports in one blast rather than doing them individually... maybe that's a feature on other models or brands and would be good. I've also wondered about trading in and getting the Bluetooth model that will tie in with my iPad but it's a lot of money for the function so I'm holding off that for the moment but I bet it would be very usefully to be able to just save all readings automatically and easily. Anyone looking for a new analyser KANE has to be the first you review. 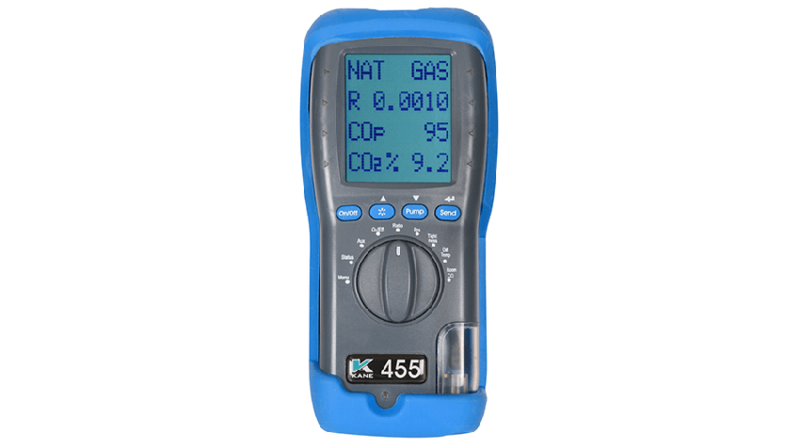 Along with the gas sniffer and the digital manometer it's a great piece of kit. The after service and maintenance from KANE is amazing! I bought the full kit with this analyser. It is easy to use with the centre dial and a large easy to read screen. The service from kane is top notch too. My only real gripe was the speed of the printer until i bought the 456. I live near Kane's offices in Welwyn Garden City and have had occasion to take my analyser in as it wouldn't zero it's self. Phoned them, took it straight down there and fit it back the same day. No charge. That's brilliant customer service! 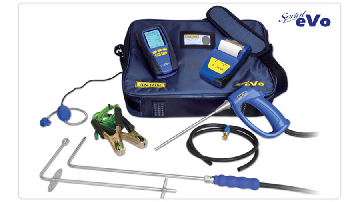 I have always used Kane analysers due to there quality and durability. Good value for money and it's also on my door step so calibration is easy to get completed. Also was approached by the CEO of Kane who asked what I used in regards to testers. Really nice chap! Nice little bit of kit, some features and setting more difficult to find. A hold button would been nice instead of the log. Some features required to oil boiler testing don't seem to be available but on the whole a rugid bit of kit just remember to change fitters regularly. Can't fault the Kane 455. Got the full Monty when i got mine and brilliant equipment. Robust analyser unit and printer and decent bag keeps all the different heads together. The best analyser on the market in my opinion, so easy to use with the "turn dial". Very robust with the case on, would never look to use anything else! Always used anyone befor but this trumps all over it. Very strong product easy to use. Had one of thes for years. Does what it says on the tin. Usual refinements handy probes availeable reliable. Well built no issues and the company deal with issues fast and efficiently . Having always used anton in my previous job and had lots of pump and sensors fail I was worried about reliability when buying my own analyser. I have had this for 16 months now and use it daily. Hasn't had a single issue. Great service from Kane on calibration a 2 day turn around and good price. The printer and blue tooth compatibility are a great feature and save time. Does Everything you need it to plus some. Servicing is cheap as well. Amazing analyser and easy to use. Great for beginners. I love Kane FGA'S. I have had the 455 for 6 years now and never had a problem. They are great quality and easy to use.